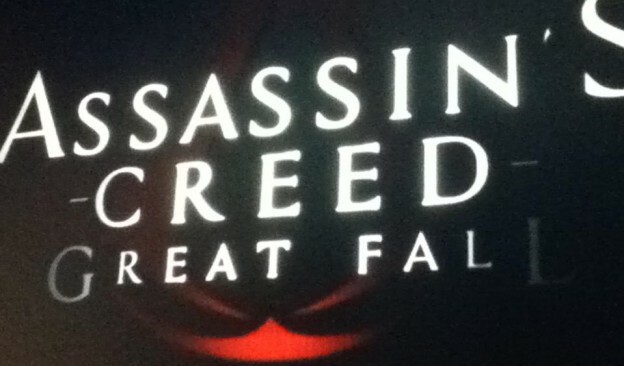 ACV rumor that placed this game in feudal Japan was dismissed by Ubisoft Executive Jade Raymond, now many predict that the hero of the game might be from France or Russia. There are 8 warehouses you can plunder in Assassin’s Creed 4, while the 9th one comes as a part of Exclusive Unlockable Content on new island, Black Island (985,626). Assassin’s Creed 4 Warehouse Locations Guide with screenshots and detailed instructions about warehouse locations and cargo value. In four corners of Caribbean Islands’ map, you can find five Legendary Ships. They are designed as extremely tough ships, level 75, with devastating fire power, and large amount of health. The battle begins once you get close enough, about 500 meters. Map of Collectibles in Kingston with screenshot guides for those that are well hidden. Locations of all viewpoints on Kingston map in Assassin’s Creed 4: Black Flag. Freedom Cry, previously released as a DLC for AC4 Black Flag, is available as a standalone version starting today for PlayStation consoles. Map with screenshots of all locations of shanties in Kingston with helpful tips for the trickier ones. The Mayan Outfit, which deflects metal projectiles, is hidden behind a secret door in Tulum, that can be opened after collecting each of 16 Mayan Stones, scattered through the map. AC4 Templar Hunt Armor Keys Guide starts with the mission This Old Cove in Great Inagua. Along with the key as a main reward, each mission gives money as well, from 150R up to 1 500R. Grand prize is Templar Armor – Pride of the Templars, a light and flexible armor that offers increased resistance to enemy attacks. Naval contracts in AC 4: Black Flag are a type of assassination mission where you usually have to dispose of a group of ships. This article contains coordinates of all available naval contracts along with descriptions on how to defeat some of the tougher ships. Walkthrough for all thirty assassin contracts you can find in Assassin’s Creed 4: Black Flag. We go through each contract and where you can get it along with detailed explanations on how to dispose of targets while maintaining stealth and picking up all stealth kill bonuses. Reward information and screenshots included too. There are 33 hackable computers/servers in AC4: Black Flag. Solution to hacking these is solving three different types of puzzles. This guide contains instructions on where to find computers to hack in the Abstargo building and how to solve specific puzzles. Treasure Map Locations guide with screenshots and detailed information where to find cadavers and dig spots in Assassin’s Creed 4. Assassin’s Creed 4 Best Hunting Locations Guide with screenshots of the best places where to hunt animals, selling prices and recipes. As you progress through the main story, more weapons become available. Most of them can be purchased from the general store, while others become unlockable after completing particular Sequence of Challenge. Screenshots guide with a map of all letter you can find in Great Inagua and more. Map with screenshots of all locations of cadaver in Great Inagua with helpful tips for the trickier ones. Great Inagua doesn’t have many collectibles, but we have screenshot guides and on-map locations for all of them. Map of Collectibles in Cat Island with screenshot guides for those that are well hidden. Map of Collectibles in Andreas Island with screenshot guides for those that are well hidden. Map of Collectibles in Abaco Island with screenshot guides for those that are well hidden. Money Making Guide will show you the best and fastest ways of making money. The following guide is made with a basic idea to help you get money as fast as possible. Money play important role, since the progression in Assassin’s Creed 4 depends on possessing good weapons, consumables and ship upgrades. Thus, you need a constant inflow of cash through the game. Map with screenshots of all locations of shanties in Great Inagua with helpful tips for the trickier ones. Wild Pig Locations guide offers detailed information about ingredients obtainable from pigs, selling prices and map locations.